What Is the Definition of the Golden Ratio? The Golden Ratio is a term used to describe how elements within a piece of art can be placed in the most aesthetically pleasing way. However, it is not merely a term, it is an actual ratio and it can be found in many pieces of art. The Golden Ratio has many other names. You might hear it referred to as the Golden Section, Golden Proportion, Golden Mean, phi ratio, Sacred Cut, or Divine Proportion. They all mean the same thing. In its simplest form, the Golden Ratio is 1:phi. This is not pi as in π or 3.14... and is not pronounced "pie." This is phi and is pronounced "fie." Phi is represented by the lower-case Greek letter φ. Its numeric equivalent is 1.618...which means its decimal stretches to infinity and never repeats (much like pi). "The DaVinci Code" had it wrong when the protagonist assigned an "exact" value of 1.618 to phi. Phi also performs amazing feats of derring-do in trigonometry and quadratic equations. It can even be used to write a recursive algorithm when programming software. But let's get back to aesthetics. What Does the Golden Ratio Look Like? The easiest way to picture the Golden Ratio is by looking at a rectangle with a width of 1, and a length of 1.168... If you were to draw a line in this plane so that one square and one rectangle resulted, the square's sides would have the ratio of 1:1. And the "leftover" rectangle? It would be exactly proportionate to the original rectangle: 1:1.618. You could then draw another line in this smaller rectangle, again leaving a 1:1 square and a 1:1.618... rectangle. You can keep doing this until you're left with an indecipherable blob; the ratio continues on in a downward pattern regardless. Rectangles and squares are the clearest examples, but the Golden Ratio can be applied to any number of geometric forms including circles, triangles, pyramids, prisms, and polygons. It's just a question of applying the correct math. Some artists—especially architects—are very good at this, while others are not. 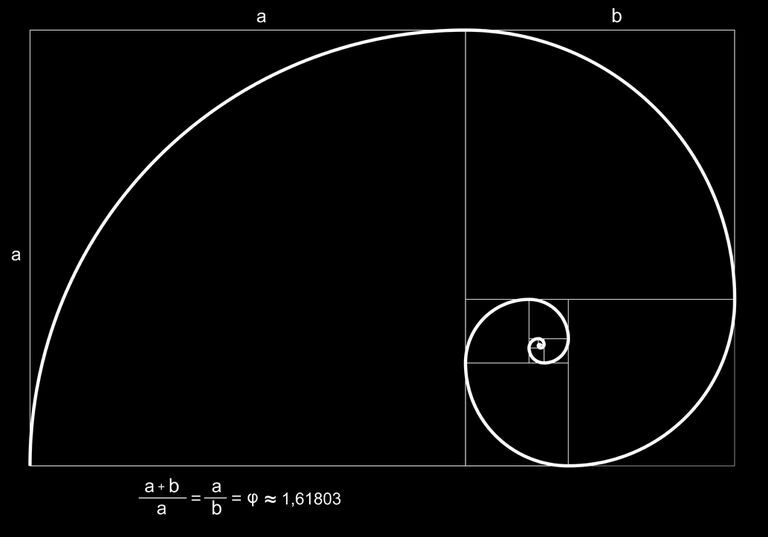 Millennia ago, an unknown genius figured out that what would become known as the Golden Ratio was extraordinarily pleasing to the eye. That is, as long as the ratio of smaller elements to larger elements is maintained. To back this up, there is now have scientific evidence that our brains are indeed hard-wired to recognize this pattern. It worked when the Egyptians built their pyramids, it has worked in sacred geometry throughout history, and it continues to work today. While working for the Sforzas in Milan, Fra Luca Bartolomeo de Pacioli (1446/7–1517) said, "Like God, the Divine Proportion is always similar to itself." It was Pacioli who taught Florentine artist Leonardo Da Vinci how to mathematically calculate proportions. Da Vinci's "The Last Supper" is often given as one of the best examples of the Golden Ratio in art. Other works where you will notice this pattern include Michelangelo's "The Creation of Adam" in the Sistine Chapel, many of Georges Seurat's paintings (particularly the placement of the horizon line), and Edward Burne-Jones' "The Golden Stairs." There is also a theory that if you paint a portrait using the Golden Ratio, it is much more pleasing. This is contradictory to the art teacher's common advice of splitting the face in two vertically and in thirds horizontally. While that may be true, a study published in 2010 found that what is perceived as a beautiful face is slightly different than the classic Golden Ratio. Rather than the very distinct phi, researchers theorize that the "new" golden ratio for a woman's face is "the average length and width ratio." Yet, with every face being distinct, that is a very broad definition. 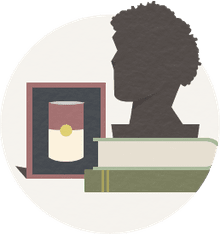 The study goes on to say that "for any particular face, there is an optimal spatial relation between facial features that will reveal its intrinsic beauty." This optimal ratio, however, does not equal phi. The Golden Ratio remains a great topic of conversation. Whether in art or in defining beauty, there is indeed something pleasing about a certain proportion between elements. Even when a person doesn't or can't recognize it, he or she is attracted to it. With art, some artists will carefully compose their work following this rule. Others do not pay it any attention at all but somehow pull it off without noticing it. Maybe that is due to their own inclination toward the Golden Ratio. At any rate, it certainly is something to think about and gives everyone one more reason to analyze art. Pallett PM, Link S, Lee K. New "Golden" Ratios for Facial Beauty." Vision Research. 2010;50(2):149.